Adsens product offerings range from pneumatic/ hydraulic Mufflers, Filters, plastic tube Fittings, Valves, Magnetic Sensors and Pressure Switches. All of our products are produced using state of the art processing techniques with the highest quality standard. Mufflers are used to diffuse air and muffle noise from the exhaust ports of air valves, air cylinders and air tools to an acceptable level within OSHA noise requirements. 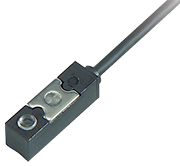 Adsens manufactures a range of magnetic switches for positioning including Universal band mount versions for mounting on virtually any cylinder. Pressure Switches Digital display pressure switchers, compact pressure switches, digital display pressure gauges. Clayton Controls is an Adsens Technology distributor in California. We offer technical support to help our customers solve their applications.